Use a Hypochlorite Solutions Label to mark containers and shipments to stay up to date with current hazardous material requirements. This label design meets the requirements set in place by 49 CFR 172.407. 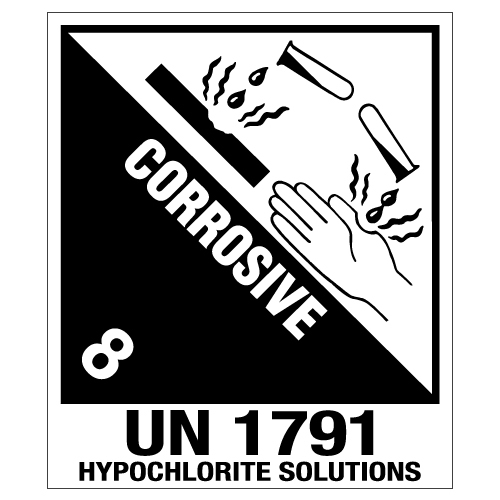 Use this hazard class 8 label to stay in compliance with current government regulations. Most commonly used for Chlorine, this is a popular pool chemical label.